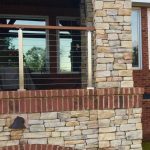 While we often describe cable railing as modern, contemporary, or industrial, they also compliment more intimate environments. 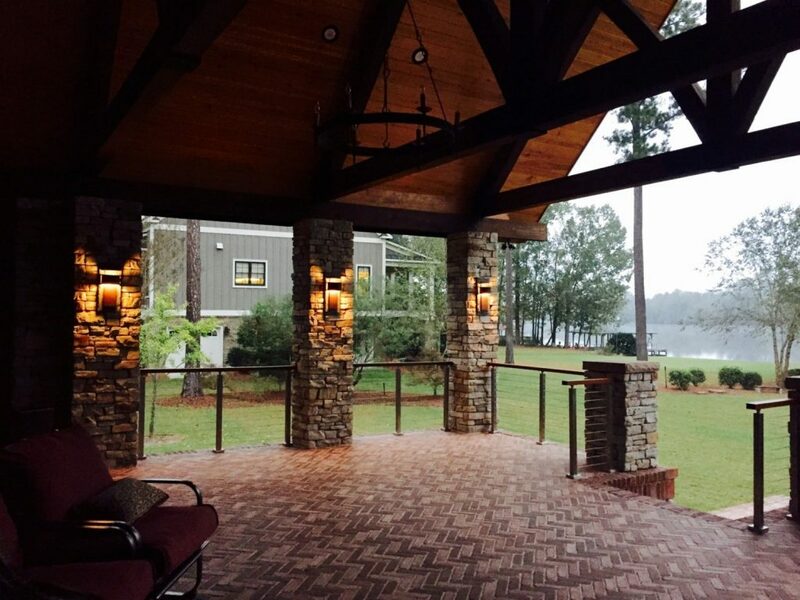 This covered deck shows how the cable railing works with the stone pillars and warm lighting to create a welcoming atmosphere. Furthermore, the wood handrail serves to give the cable railing a warmer tone. All in all, the railing combined with the other features of the deck give the entire area a home-like appeal. We have many cable railing styles to choose from so that you can find the right fit for your project. If you would like design help for your application, you can fill out our simple design form to get in touch with one of our experienced sales representatives. We look forward to making your design vision a reality.